In a number of countries, golden monuments and statues are dedicated to prominent personalities: political and historical figures, great musicians, etc. Being part of cultural heritage, the precious statues became the most recognizable city landmarks, attracting tourists from all over the world. We tell about the golden monuments and statues of European capitals. 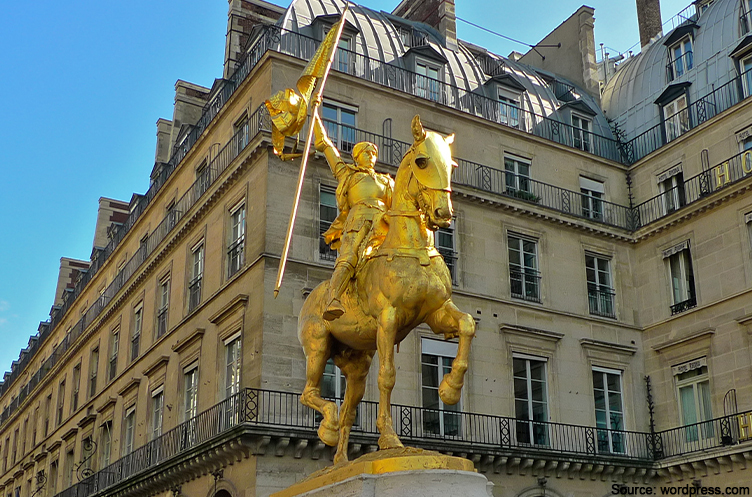 On Rue de Rivoli street, at the entrance to the Tuileries Garden, there’s a statue dedicated to the heroine of France Joan of Arc. 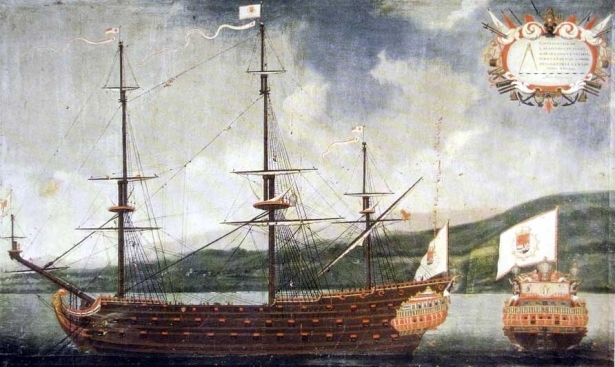 It is believed that the strong-willed girl saved the country from the English invasion during the Hundred Years’ War of the XIV-XV centuries. The golden statue was built in 1874. In the photo: a female warrior is depicted sitting on a horse and wearing body armor, holding a military flag. At the beginning of the 20th century, the Virgin of Orleans Joan of Arc was canonized as a Roman Catholic saint, and is now considered the patroness of France. An interesting fact: both a military cruiser and a space asteroid were named after her. Frederick Augustus I the Strong, Elector of Saxony, King of Poland and Grand Duke of Lithuania reigned from 1694 to 1733. A monument of the monarch was built in 1736, on Neustädter Markt, Dresden. 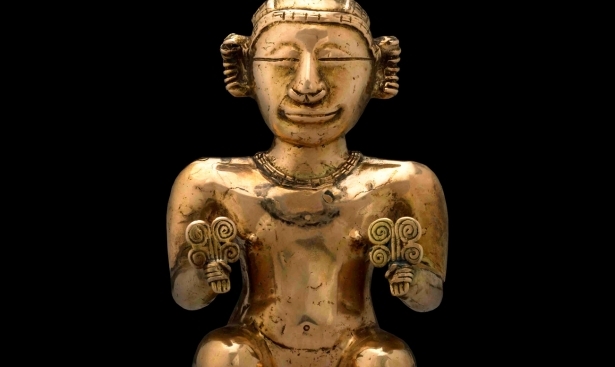 The figure of the ruler is cast of copper and gold leaf. In the photo: Frederick Augustus I is depicted wearing Roman armor, riding on a horse, heading in the direction of the Polish Kingdom. During the reign of Augustus the Strong, the city was transformed, gaining prominence throughout Europe. Many great buildings, galleries with world-famous artworks and several magnificent palaces were built in Dresden. An interesting fact: during the Second World War, the monument was dismantled and taken to a secure storage site. 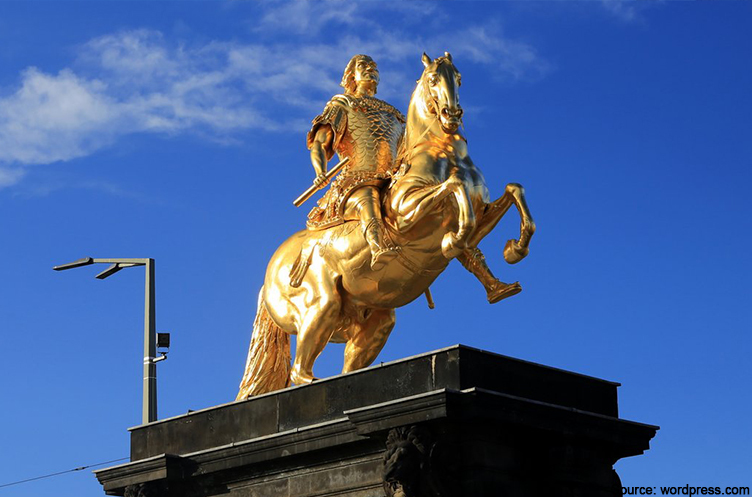 In 1956, marking the 750th anniversary of the city, the “Golden Rider” (Goldener Reiter) was reconstructed, multiple layers of gold leaf were applied. The monument was set up at its original place. 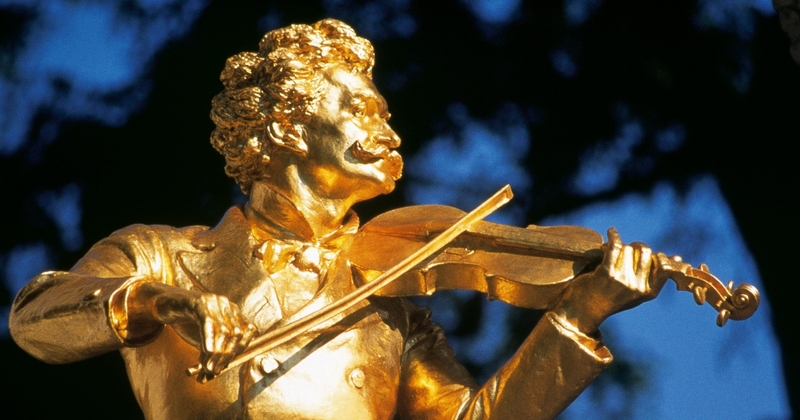 The sculpture of the famous 19th century composer Johann Strauss was built in the central park of the Austrian capital in 1921. The bronze figure, covered with gold, stands on a large marble pedestal made in the form of an arch. In the photo: Strauss is depicted playing the violin at the moment of creative inspiration. The Austrian composer is the author of more than 500 waltzes and quadrilles. 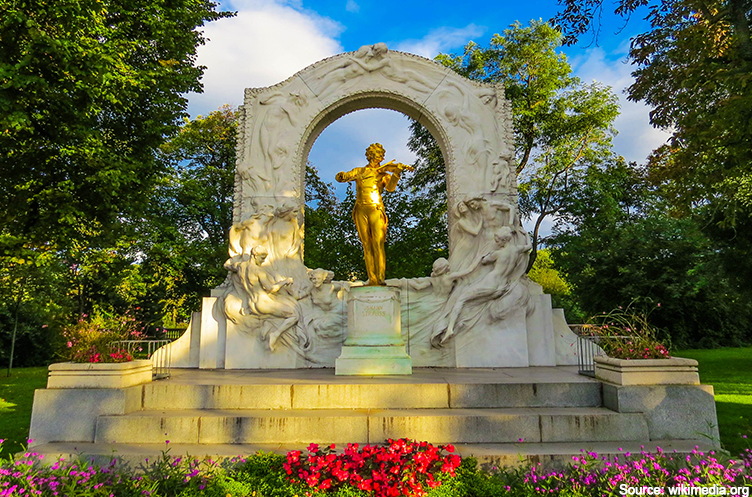 An interesting fact: in the Stadtpark, Vienna, not far from the place where the golden statue was built, young Johann Strauss once performed with an orchestra in the mid-19th century. 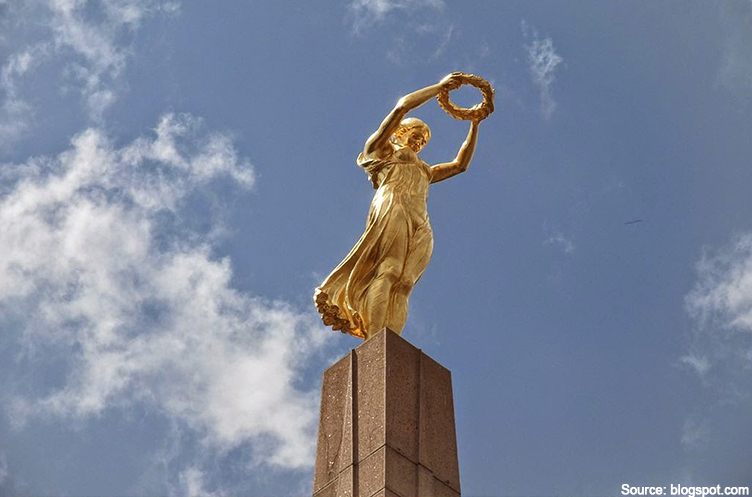 “The Monument of Remembrance” that adorns the city center represents the main national symbol of Luxembourg. The memorial was built in 1923, a few years after the end of the First World War. In the photo: the monument is a 21-metre-tall granite obelisk. Atop of the obelisk stands a gilded figure of a woman, holding out a laurel wreath that symbolizes the greatness of a small nation. The monument embodies the feats of Luxembourgers who fought for freedom and independence of their country. An interesting fact: during the Second World War, the city was occupied by the Germans, who partially dismantled the war memorial. It was fully reconstructed and restored to its original place only in 1985. Mankind won’t ever lose interest in gold. The demand for the yellow metal is growing steadily. 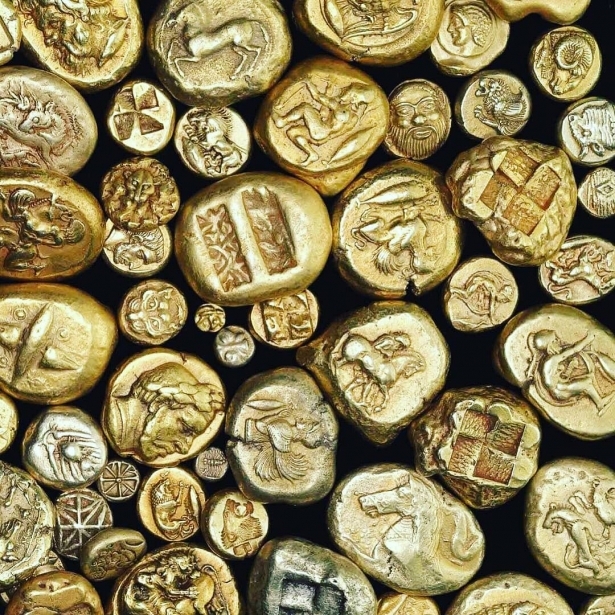 People create personal gold reserves to protect their savings in times of economic instability. Gold is a long-term and reliable asset that will help you preserve and accumulate your capital.